BOOK YOUR VACATION RENTAL HOME WITH LOCALS! Staying at a Vacation Rental Home, especially St John rentals, has become one of the more popular options for vacation accommodations. Most vacation destinations have a good selection of private homes and condominiums available as short term vacation rentals with price ranges to meet most budgets. After deciding on your vacation destination, you then must determine the best way to book a private home for your vacation. Online search is the more common method and will generally provide a list of results showing sources to evaluate. The search results will includes Online Travel Agencies (such as, HomeAway, VRBO, Airbnb, Booking.com, TripAdvisor, etc), Professional Property Managers and possibly a number of individual property listings. Individuals searching for a Vacation Rental Home will generally find that the least desirable option will be to book with an online travel agency (OTA). OTA’s do have high visibility websites which promote Vacation Rental Homes in many market areas around the world. These entities typically obtain their Vacation Rental Home listings through distribution agreements with Professional Property Managers and/or directly with property owners. OTA’s rarely, if ever see or experience the Vacation Rental Homes or destinations that they market. OTA’s generally have first page placement on search results for Vacation Rental Homes because they spend large amounts of money on internet marketing activities. However, first page placement does NOT mean that an OTA will be the best choice for booking a Vacation Rental Home. OTA’s have no first-hand knowledge about the Vacation Rental Homes they advertise nor do they have any first-hand local knowledge about the destinations where the properties are located. Just like you, OTA’s have only seen photos and read marketing descriptions of the properties and the destination that they advertise. Unlike ‘cookie cutter’ type hotels where most rooms and amenities are alike, Vacation Rental Homes are uniquely diverse and have varying features and amenities. Without local or first-hand knowledge about the Vacation Rental Home and destination, the OTA is very limited in how they promote bookings. The OTA cannot provide a personalized booking experience and will therefore be unable to know whether any Vacation Rental Home would be a good fit for a traveler’s vacation plans. Another reason that an OTA is NOT the best option for booking a Vacation Rental Home is cost! Most OTA’s charge a ‘traveler fee’ for booking through their site which is in addition to the rental rates and fees posted on their sites. This traveler fee is generally anywhere from 6% to 15% of the total rental amount of the booking. This additional fee makes the cost of booking with an OTA 6% – 15% higher than the cost of booking the same Vacation Rental Home with a local Professional Property Manager. OTA’s do not have any flexibility in pricing for the Vacation Rental Homes listed on their sites so they cannot offer discounts. The rates are established on the OTA website and can only be modified by the property manager or owner of the Vacation Rental Home. Professional Property Managers are locals who live and work year around in their destination. They intimately know their destination and the St John rentals that they manage and market as vacation rentals. In many cases, Professional Property Managers are licensed Realtors who have management agreements with property owners within their market area. Because of their local knowledge, Professional Property Managers should be considered the BEST choice for obtaining complete and accurate information about the all the features and amenities of the properties they manage. Additionally, they are the best source for reliable advice about whether a selected Vacation Rental Home would be a good fit for individual vacation plans. Local Professional Property Managers can provide incomparable personal attention for their guests. They also generally provide local hospitality and concierge services for their guests whereas OTA’s do not have this capability. As the LOCAL EXPERTS in the destination, information they provide will always be accurate, up to date, and most importantly, first hand. Guests who reserve a Vacation Rental Home with a Professional Property Manager will not have to pay a traveler fee for booking. Quite often, better rental pricing may be available through direct contact with a Professional Property Manager. Realistically, there is only one reasonable choice for locating and reserving a private Vacation Rental Home and that is to Always Book Your Vacation Rental Home with Locals! CimmaronStJohn is a premiere Professional Property Manager on the beautiful tropical island of St. John in the US Virgin Islands. We have an expert staff of full-time residents who take pride in knowing everything about our Vacation Rental Homes. Additionally, being locals provides them with first-hand knowledge about all the features and activities available at this unique destination. We are the island experts and have the local knowledge to provide reliable advice about whether a selected Vacation Rental Home will be a good fit for your vacation plans. Preview the more than 50 CimmaronStJohn Vacation Rental Homes at www.cimmaronstjohn.com. Here you will find homes and condos that are sure to meet or exceed all your needs and desires. Extras provided by CimmaronStJohn include free of charge pre-arrival and on-island hospitality and concierge services. We don’t just book rental homes – we provide memorable vacation experiences that can last a lifetime! 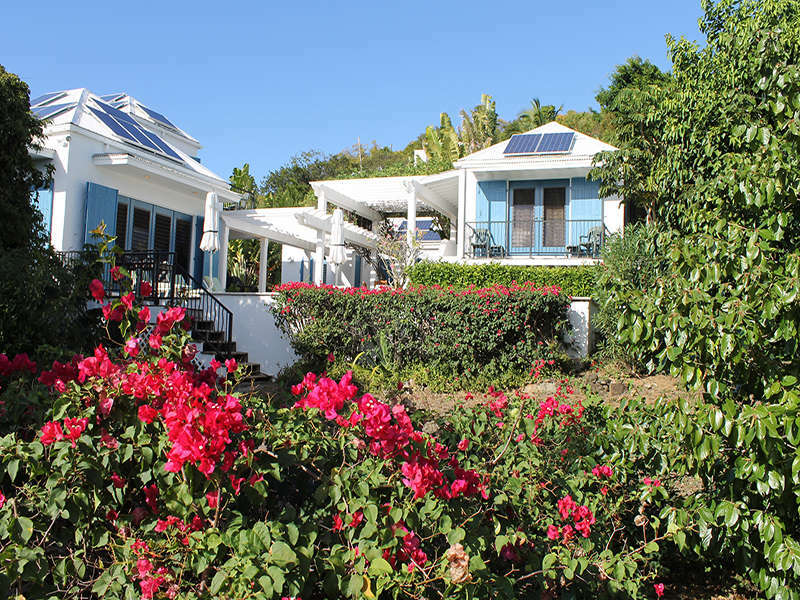 When visiting St. John in the US Virgin Islands, booking your vacation experience with CimmaronStJohn guarantees that your Vacation Rental Home will be fully readied for your arrival and will be exactly as represented. Our pledge is to ensure that your vacation on St. John will be all that you wished for and that you will not be able to wait for your next return visit to our amazing destination in paradise.